Handyman Interior & Exterior Brompton SW1 | RDA Cleaning & Maintenance Ltd. When you need some help with a few repairs and odd jobs in your house, RDA Cleaning & Maintenance Ltd. is there for you. 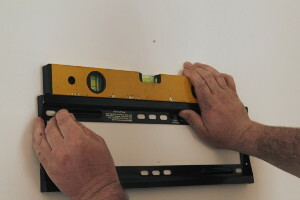 The professional handyman company in Brompton SW1 offers handyman service, which is absolutely perfect for your needs! All our experts are very carefully police background checked, experienced and multi-skilled. Any one of our handymen can do all kinds of repairs, maintenance and odd jobs for our customers. This service is hourly based, with fixed prices, and a discount for booking half and whole day domestic and commercial handyman packages. To get a price estimate, call our customer support operators at 020 3404 1646, or send us an online request here. For decent, competitive and quick plumbing, carpentry, painting & more Brompton SW1 services you can always rely on RDA Cleaning & Maintenance Ltd.. We work 365 days per year without making any exceptions for weekends or national, religous holidays. We have a wide coverage - including Greater London. Do not hesitate to call us for same-day or emergency reservations, either. Once you contact our handyman consultants, they will arrange with you a preliminary visitation by the technicians. The technicians are skillful, insured and well-trained. If you have a concrete task for the handyman technicians, let us know via telephone call or through the online booking form. We can immediately give you free quotation and a date for the visitation. The handyman Brompton SW1 can provide carpentry services as well - if it’s a simple job like assembling a drawer or a table he will do it. However, more serious carpentry jobs which require specialised skills like roofing or construction work is out of the question. So if you want to hire high experienced handyman professionals Brompton SW1 for your daily tasks then please feel free to call us at 020 3404 1646 or use our online booking service and we will be on our way to do your daily tasks.